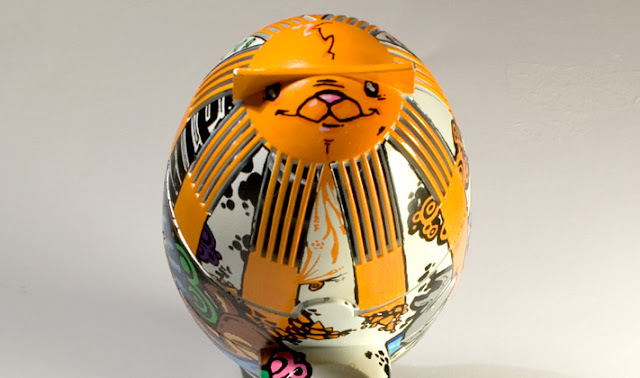 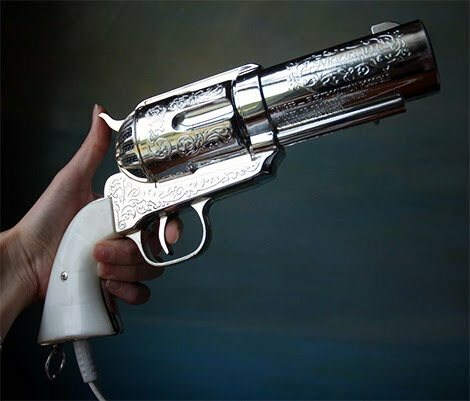 If It's Hip, It's Here (Archives): Hair Dryers That Will Blow Your Mind From Ferrari, 2Much, Barbie, Ed Hardy and More. 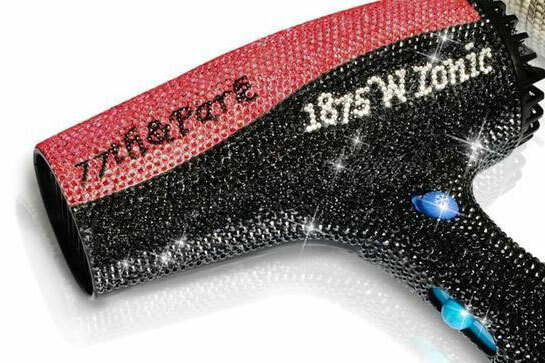 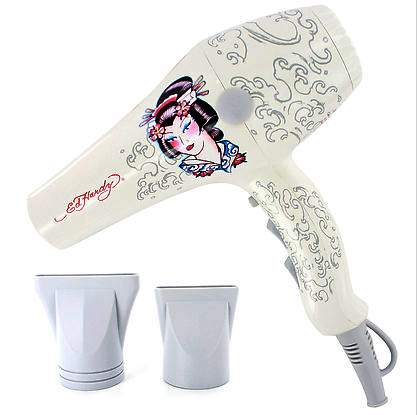 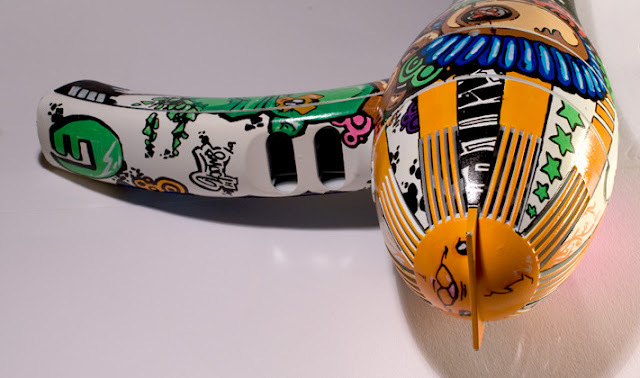 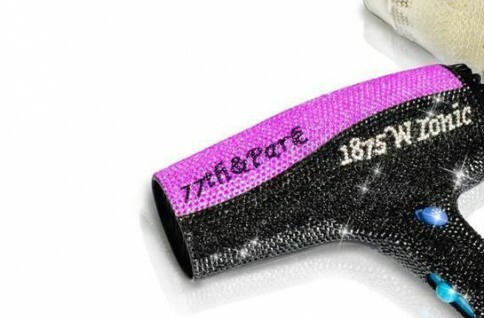 Hair Dryers That Will Blow Your Mind From Ferrari, 2Much, Barbie, Ed Hardy and More. 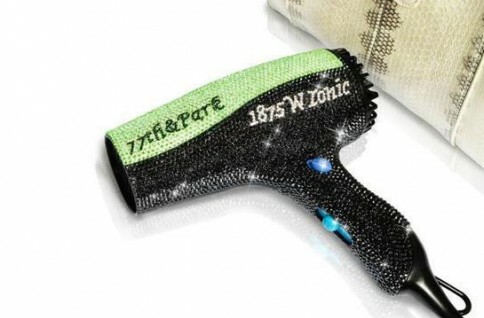 Seems like lately everything utilitarian is getting into "design" and hair care tools are no exception. 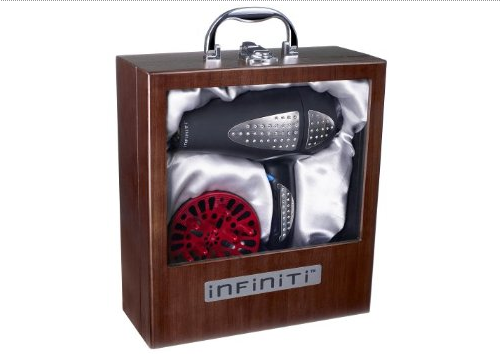 Blow Dryers from high-end salon brands like BaByliss, T3, Conair and even custom ones by designers are hitting the market. 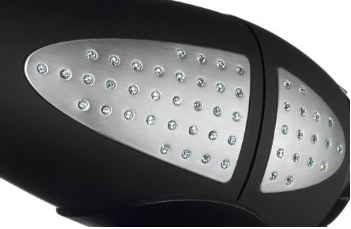 The first one I'm sharing with you is more about what's inside the dryer than the look of it. 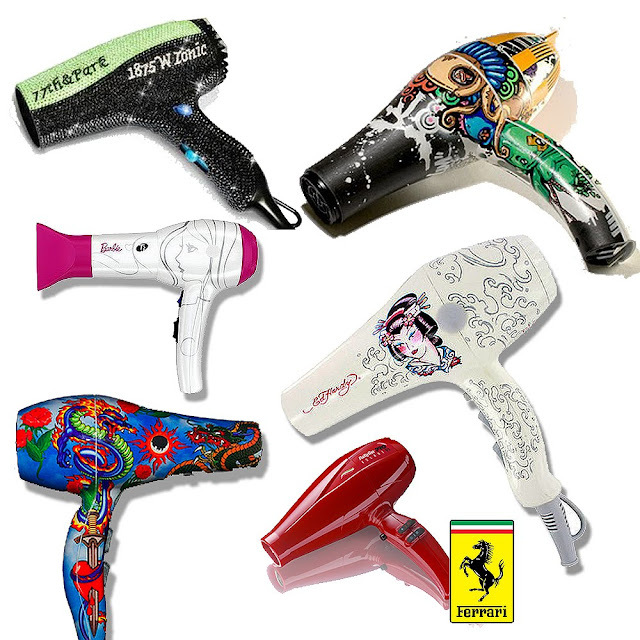 In 2010, a unique collaboration between BaByliss and Ferrari brought together the technological and engineering expertise of these two industry giants. 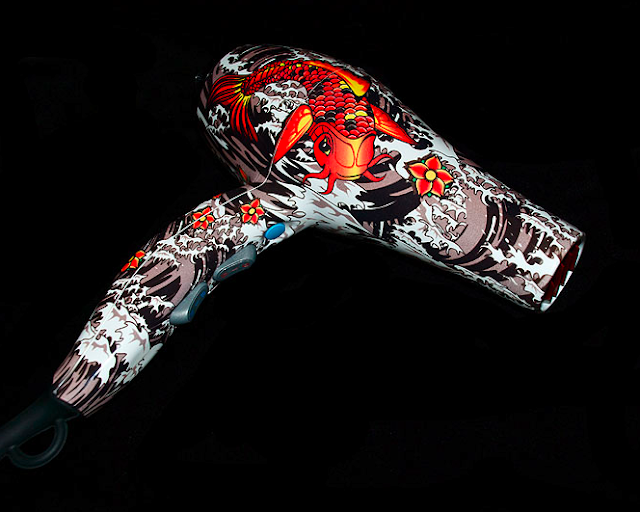 The result puts the world's first Ferrari-inspired high performance engine into a professional hair appliance. 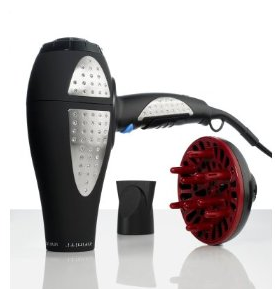 Designed for maximum airflow, minimum weight, low vibration, extended life and turbo-speed power, the Ferrari engine makes this BaBylissPRO the ultimate drying machine, and creates a brand new category in styling: the performance luxury dryer. 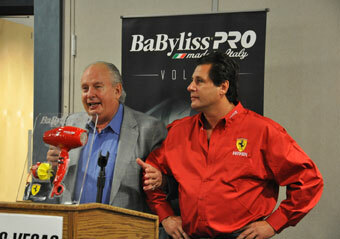 Ferrari and BaByliss, both noted for speed, power and performance, are recognized and respected around the world. 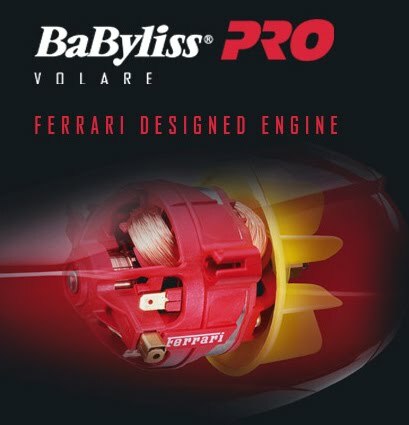 As a sponsor of the Ferrari Challenge Trofeo Pirelli Championship, BaByliss is proud to lend its support to the greatest name in racing. The BaByliss®PRO VOLARE comes in two sizes –a medium and a compact one- and in two colours –in black and in the worldwide original FERRARI red colour- and is the world’s first professional luxury hair dryer driven by a FERRARI engine. 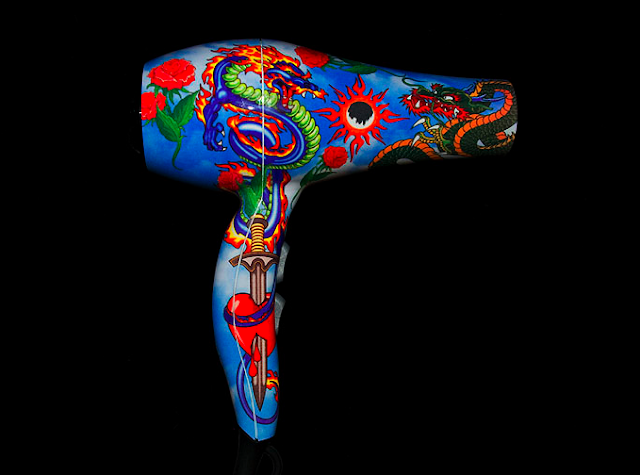 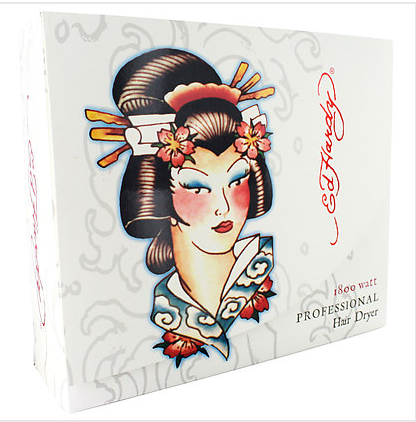 The following hair dryers have all jumped on the Graffiti and Tattoo inspired bandwagon. 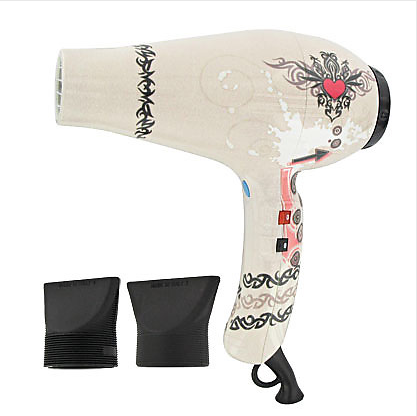 The following are simply hair dryers worth noting. 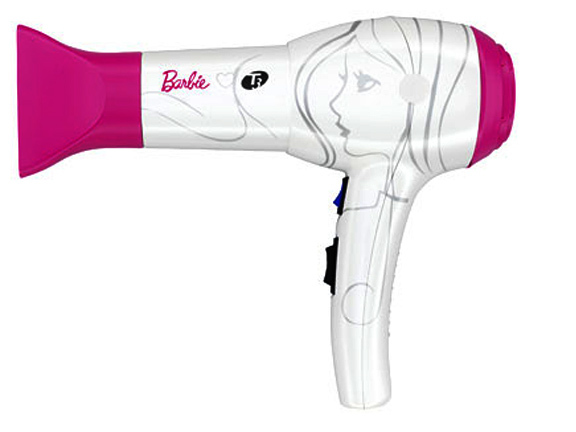 The T3 Barbie hair Dryer is available exclusively at Bloomingdales. 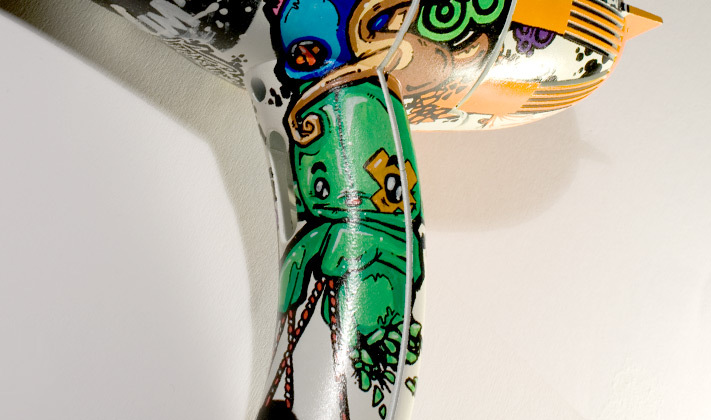 above images courtesy of this etsy listing. 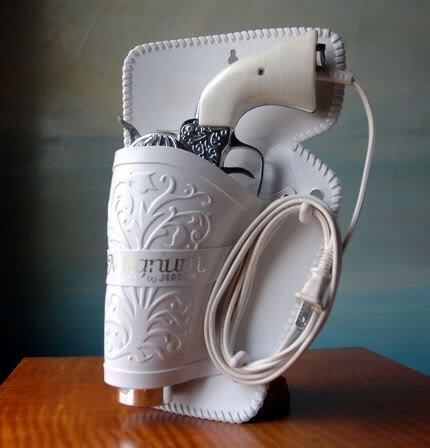 There's also a similar hair dryer with various colored handles called the Western hair dryer. 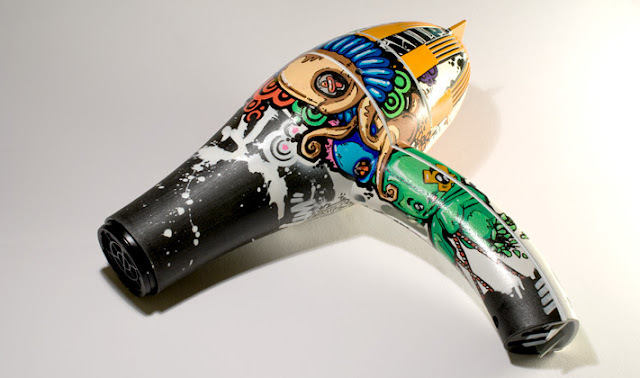 Of course there are hundreds of interesting concept designs for hair dryers, but I wanted to you to see the actual produced ones.